Sandler's Poison | Bee Talents - Here to build your team in IT, together! – Dear Sir, we’re interested in cooperation with companies in central Europe and develop the business as a supplier or buyer. You can visit our site to check out our projects and find more information about us. – What about my product makes you think I’m a good fit? – What is your product, please explain to me. – Shouldn’t you know that? Why did you write to me if you don’t know my product. Sounds familiar or you don’t believe such things happen? You might find it surprising, but they do. This is a real life example from Mick Griffin Facebook fan page “How not to sale – Pipeline Summit” where sometimes he gives examples of bad selling practices. Let’s be honest, nobody would like to be mentioned as an example of bad selling, would you? Nor would I. 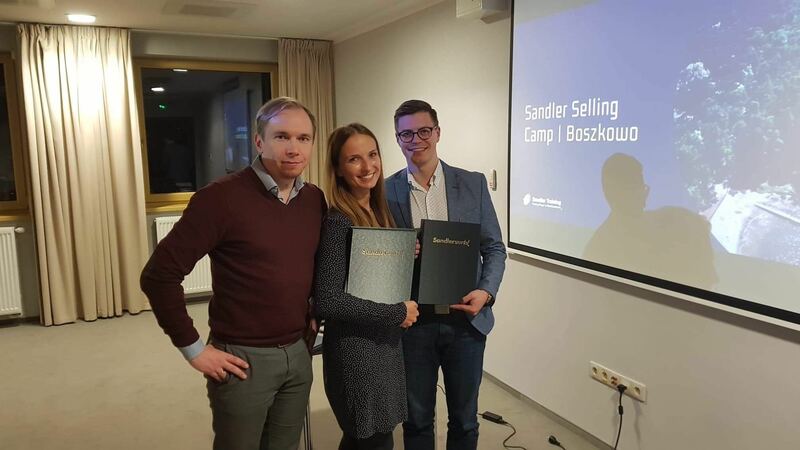 And even though I’ve got an impression that my selling skills are not so bad, I decided to take part in Sandler Selling Camp organized by Arek Chludziński. Its first part took place on 26-27th November. Working exclusively on retainer fee or constant cooperation, I often stumbled across the situations where clients didn’t see the value of our model. Sometimes, after long chats they finally begun to see it, therefore they’re happy working with us. Sometimes they just stayed unconvinced..
Those who truly care for their clients and don’t gaze blindly on KPIs, they would say “Hello, tell me more about yourself. Tell me what you’re struggling with. Only after our talks, I will be able to say whether my service/product is a good fit for you”. Sandler’s methodology teaches you that you can be honest and tailor your service/product to your client’s needs. Yes. If you start the meeting by opening your laptop and going through 20 slides you should not be surprised that your client-to-be is nervously looking at the watch. Just close your mouth and let them talk. How, on Earth, otherwise are you able to help if you can at all? Sandler methodology teaches you not to have an approach “I’m the seller, you’re the buyer” but “Let’s be humans, above all!” instead. I mean, to your client. Yes, you read it correctly – to your client. No one likes to be forced to listen more about service/ product. Especially when they are trying hard to say “Emmm…sorry but I’m not interested.”. How about telling the Client: “Now I don’t know if I’ll be able to help you. Truly. But maybe we can have a chat and if at any time you decide my solution is not for you, just let me know. Can we do that? Will you feel comfortable with that?” Can’t imagine that it might work? Sandler methodology will tell you how it does. I enjoy being poisoned with Sandler’s methodology, especially by how Arek does it. Now I feel I know how to better explain how we work at Bee Talents and what’s the value of our models of cooperation. If value is what you cherish, you can ping Arek to talk about the details. Honestly, I’m not sure if he’s got any free time this year, but well… it’s always good to have a chat!